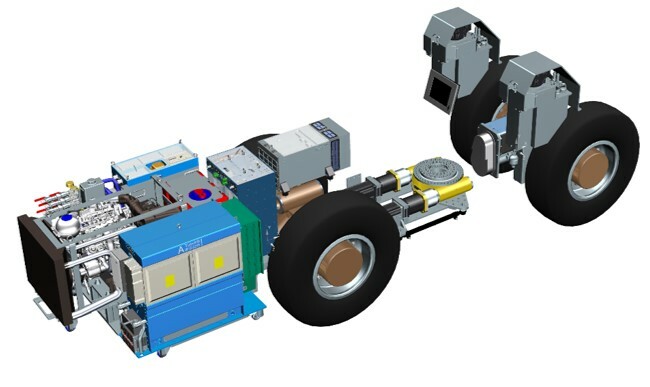 Tubridi project developed systems and components for the future hybrid work machine. Two research platforms are made for testing: full scale hybrid work machine and HIL simulator. Project studies electric alternatives to the traditional hydraulic components such as cylinder movements, wheel turning and auxiliary functions. Simulator work extends the test results from the full scale machine. The research challenge was to find out the benefits of hybrid machines. What is the effect on the productivity and usability? What is the difference in fuel consumption compared to traditional electro-hydraulic machine? How to integrate electric components into the machine structures?